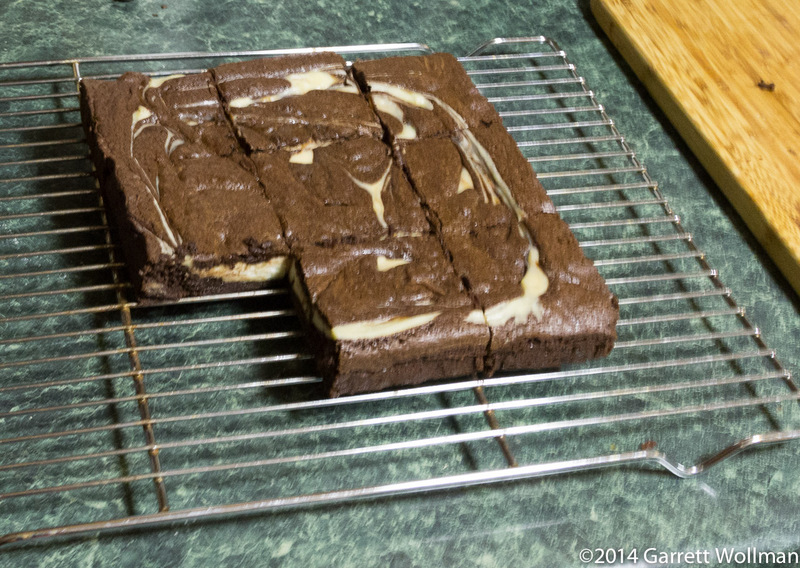 Multiply everything by 9/16 (approximately 0.56) for the 2×2 brownies specified in the recipe (yield 16). Either way, a special treat, not an every-day dessert. I’ll be freezing some of these, or giving them away to colleagues. 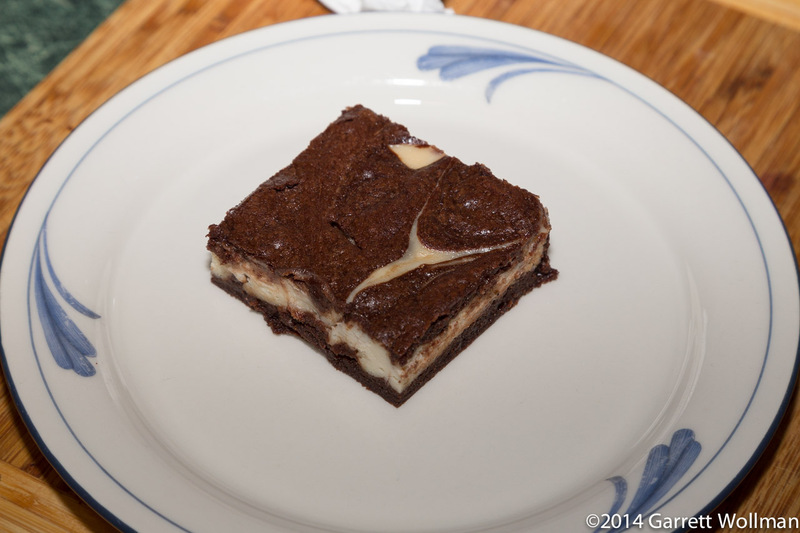 This entry was posted in Food and tagged brownies, cream cheese, recipe. Bookmark the permalink.